Today I showed up at work and sat down at my desk, opened my Mac. Craving for coffee. The usual stuff. But then a colleague came over to say: 'I just got it, it's all about cheese!' Yes, that's right — cheese. I was puzzled too. Well, apparently my colleague had just figured out what 'my brand' was all about. Still puzzled. I first thought it was something to do with the cheeses I had brought back from my recent trip to France (the cheese had stank up two Swiss Air Lines flights and the London DLR along the way). But it wasn't. I found myself on the same page as soon as my colleague clarified that it was my 'Finntastico' brand he was on about. 'Aah' I said. He must have been reading my blog. Funnily many folks first looking at my brand and the logo, to be more precise, indeed see and say: 'cheese'. Well, in an attempt to clarify 'my brand' I thought I could explain it a bit. There are other subliminal messages, besides the somewhat unintentional cheese, that the brand is designed to transmit. As with any proper branding exercise, designing the brand was all about expressing my core values. Let's start with the most visual bit: the block of 'cheese'. Firstly there's the exclamation mark. See that? If not then look at the 'cheese' in respect to the 'o' of the word 'Finntastico' beneath if. Get it? Okay, good. Well, the grande idea was that it's supposed to represent ideas and the sort of 'eureka' experience. You know, creativity and innovation, all that magic. 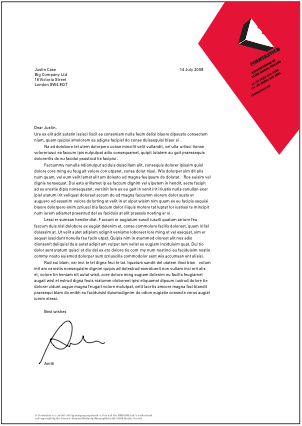 The next challenge for some is more difficult: there's a letter in it too. Yes, indeed, the letter 'F'. Spot that? Then again some see the 'F' but not the exclamation mark. Funny the way the brain works. I like the logo as it's a bit like one of those psychological tests. It was designed by my mate Caspian from New Zealand who is a very creative guy and passionate about graphic design. I am happy to recommend him if you need a safe pair of freelance hands with a creative edge and can't afford a big agency. Heck, he might even do a better job than 'an agency'. Feel free to check out his portfolio at Smoothfluid. I've just met Caspian once at a random meeting at Norhumbria University in Newcastle. We took part in an event there, a talk on innovation by some British hot shot whose name I've forgotten by now. I just remember the fancy suit, a brown briefcase and BBC English. Anyway, me and Caspian swapped business cards over drinks and kept in touch. 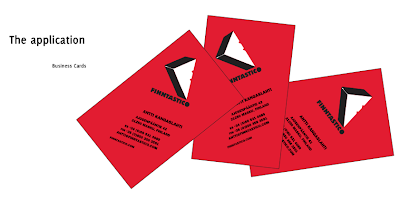 I kept a close eye on Caspian's blog and when I set up my private trading name 'Finntastico' in Finland (where else?) three years later, Caspian was the first person on my shortlist for designing the visual identity of my brand. We worked very nicely online, him being in New Zealand and me in Finland. Amazing how easy collaboration across the globe has become. But I digress; back to the cheesy stuff. 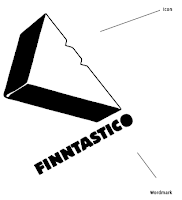 My brand name 'Finntastico', climbing upwards at a 28.5 degrees angle to express progress, on the other hand, is a pun of the words Finn, fantastic and fantastico en español. It kind of sums up my cross-cultural experience: I was born and bread in Finland, have spent five years in the UK, one in the US and a year in Spanish speaking countries — Spain and Central America to be precise. I actually tried to register 'Finntastic' but was told I couldn't as Finnair had already registered it. But hey, Finntastico it was meant to be and I'm glad I was obliged to opt for a cross-cultural brand name as opposed to just an intercultural one. So should I be worried about cheese being there? To be honest I don't really mind the confusion; it works as a nice conversation starter. Besides I like most cheese. It's more than often tasty and comes in many different forms and colors: it can be solid, liquidy, creamy, dry, soft, grainy, hard, blue, white, orange, brown — you name it. It can stink or not smell at all, be salty or unsalty. It can be made out of buffalo's, cow's or e.g. goat's milk. The world of cheese is a bit like the world of man: pluralistic and multicultural. Cheese doesn't just mean any one given thing — although there are those who try to put cheese in a box and say after trying just one sort of cheese: 'I hate it'. As if all cheese is the same. And despite the fact that most cheeses coexist peacefully, there are those that seem to want to overpower the rest by their imposing smell. You could argue that they stink. Greetings from the Lyon Exupéry Airport. It's time to head back to the Big Smoke, London. What an eventful three and a half days it was in Lyon. I must admit that the World Entrepreneurship Forum far exceeded my expectations so congratulations once again for the organisers and EMLYON Business School and KPMG. As I'm waiting to board my flight and having just learned of a 30-minute delay, I figured I might as well use my time to work on my blog. Well, I hope I got the facts right, after all the announcement came with a somewhat strong French accent. Not that there's anything wrong with it (Seinfeld pun intended)! I love the French accent. But I digress. Here's yet another update from yesterday's closing session. On my way to Grenoble (I had one day to kill so I went to the famous Olympic city to visit an old friend), I chatted to myself and my iPhone video camera about the Forum's outcome and some plans for next year. Anyway, I shall wait till I get to London before I post that clip online. It requires a bit more bandwith I believe. This morning session was all about the members. Each member took the stage, me included (hey, if you got a photo please do email it to me), to give their commitments to the coming year. I'll tell you a bit more about mine later. After all the members of the Forum had been up on stage to talk about their commitments for the coming year, it was time for the organisers to take the stage and make their pledges. EMLYON Business School's director Patrik Molle seemed thrilled along with everyone else on the buzz the Forum had created over the three days. Applauses went back and forth. One of Patrick's pledges was to support Kah Walla's campaign for Cameroon's presidency. He had even manage to print T-shirts with Kah Walla's campaign slogan on it: 'The time is now'. Patrik also announced that at next year's World Entrepreneurship Foum 2011 there would be 1 million euros up for grabs for best initiatives to have come out of this year's Forum and apparently the same would be the case for the next five years. So 5 million euros in total will be there to support the creation of social and economic justice. As if the organiser's hadn't impressed us enough, they showed us how the Forum had been featured in news around the world. This clip from Euronews was shown. Okay I could easily go on, put my flight has just been called so I've got to dash. Do check back later in the week for more thoughts. Did you know that the word 'entrepreneur' was apparently coined by the French in the beginning of the 19th Century? Well I didn't. 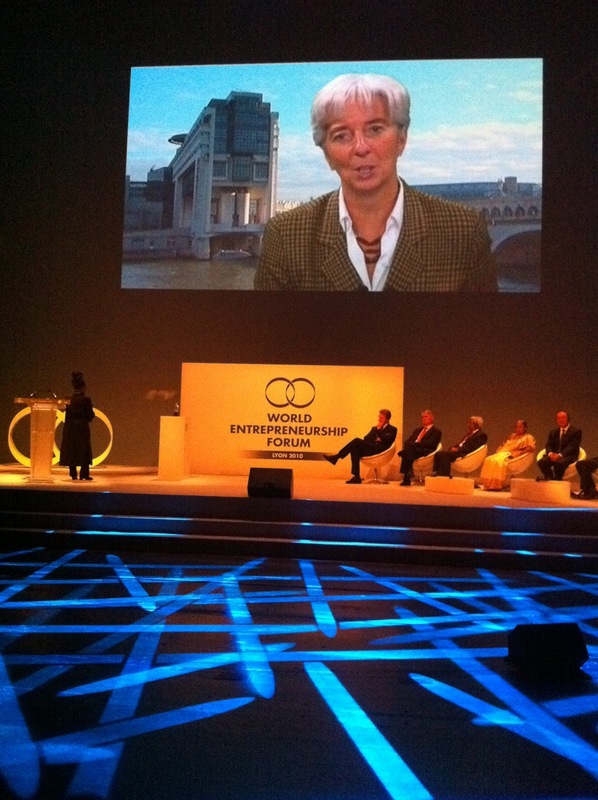 And last night upon receiving her award, the French Finance Minister Christine Lagarde informed us in her video address that Lyon was also the entrepreneurial hub of France with the most entrepreneurs (or was it new ones?) so it seems all the more appropriate for us to be here in Lyon discussing entrepreneurship. It's afternoon now as I'm logging into my blog to post yet another update — although it feels more like night already as we've had an early start: 7:30AM the buses picked us up from our hotel and took us to the EMLYON Business School. It seemed like a natural outing considering that the Business School is one of the Forum's co-founders along with KPMG. So off we went and showed up at the Business School feeling pretty tired in desperate need of coffee. As the organisers are looking after us well, there was a second breakfast available upon arrival to the Business School. Needless to say, I never had the time to manage to munch up my scrambled eggs at the hotel so I was a happy bunny. Apparently textile industry played a major role in Lyon's history. 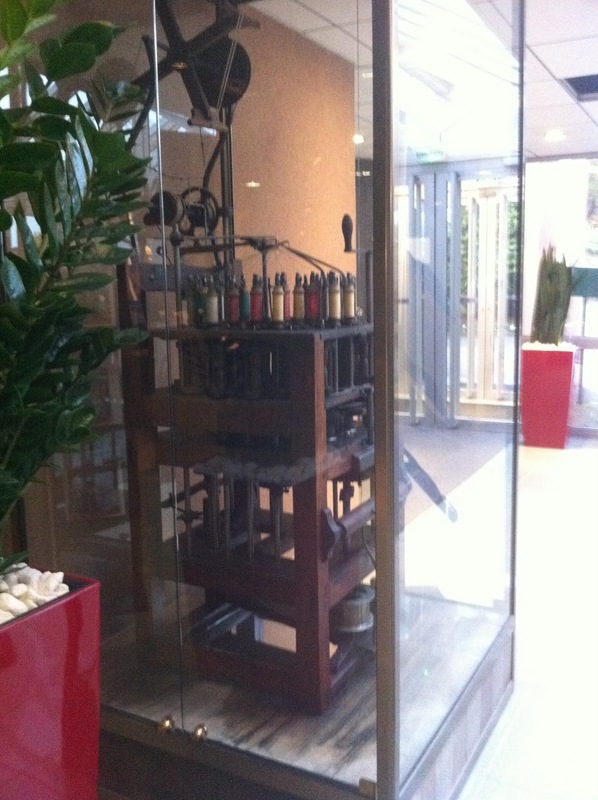 As a reminder this display below greeted us upon arrival at the EMLYON Business School. And then it was again time for the talks and panel discussions to begin at the plenary. The morning session was this time open for public with many EMLYON's students taking part. We had the honour to hear from last night's awardees. First up was the legendary Chinese businessman Mr. Liu Chuan-Zhi, President and CEO of Legend Holdings, who gave some very interesting insight e.g. 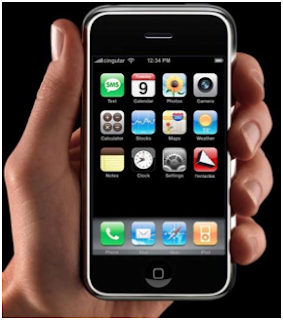 into the controversial takeover of IBM's ThinkPad division in 2004, which had been the first time in history that a Chinese company had taken over a major American player. Mr. Liu also shared his philosophy on issues to do with leadership and corporate culture which I found fascinating. After Mr. Liu the stage was given for the Social Entrepreneur For the World 2010 awardee Ms. Ela R. Bhatt, who spoke us about her incredible success story: the Self-Employed Women's Association (SEWA) which has helped over a million Indian women. Me and the charming Nyokabi Njuguna, Founder and President of the Entrepreneurship & Leadership Foundation in Kenya. With Dr. Muhammad Ibrahim, Founder and Chairman of Centre for Mass Education in Science (CMES) in Bangladesh and the brother of a certain Nobel Peace Prize winner Muhammad Yunus. Senior Fellow Entrepreneurship in Lahore School of Economics in Pakistan, Iqbal M. Khan with Ms. Ela R. Bhatt. After the first session was over each of the members of the World Entrepreneurship Forum, me included, were interviewed by students of the EMLYON Business School. Manjing Pan a.k.a. Pamela (left) and Wu Shan from China as well as Tomas from Portugal were probably wondering whether I had showed up at the right room when a fresh-faced Finn like myself popped through the door! Well, they told me they were very happy with our meeting — and so was I. I shared my thoughts on social entrepreneurship with them and spoke about my future vision while also finding out a bit more about who my newly found friends were. Then it was back to the plenary where we learned about the launch of yet another new initiative associated with the World Entrepreneurship Forum: the 'Global Entrepreneurship & Development Index'. With the Social Entrepreneur for the World 2010. A real honour. Shaking hands with Sir Fazle Hasan Abed KCMG, Founder and Chairperson of BRAC. With the potential future first female president of Cameroon: Kah Walla and other members of the Forum. With Miloud Lahchim from the Ministry of Education of Marocco. On the right is Kah Wall. Lunch in top-notch company: Iqbal M. Khan from Lahore School of Economics, Ms. Ela R. Bhatt and a Dutch lady who is a senior consultant for P&D Network (for some reason there's no name on her business card). Okay, I'm going to take a nap after which I'll join back in with the action. We've got some workshops up next, follow-up work from yesterday's workshops. Then it's a free evening (yes, so needed one) and my new friends from EMLYON Business School who interviewed me earlier in the day promised to take me out to see the old town of Lyon. Tomorrow morning the Forum will be wrapped up. Already look forward to the white paper. So day one is behind. Where to start? I'm tired and would like to sleep but at the same time I feel there's so much to blog about, so here we go. Though do allow me to give a more graphical update of today's events rather than a more verbose one. It's around 2:30 AM now and we have an early kick-off tomorrow morning: a bus will be picking us up at 7:30 AM and take us to the EMLYON Business School. We've just come back from a spectacular gala evening at a fancy concert hall in Lyon. But before I get to the gala event, here's how they day unfolded as a pictoresque photo essay in a chronological order. The day started with some key talks and a panel conversation. Check YouTube for a video of the start of the day. One of my favorite quotes from the morning session was one from Leonardo Da Vinci referred to by Patrick Molle, the President of the EMLYON Business School: "Every constraint is a gift." They're making us work hard here: we've had to fill in many forms asking our thoughts on what we feel are the key challenges for 2050 in terms of bringing social and economic justice. Here's a soundbite from me (by the way, it's supposed to say 'planet' as opposed to 'plane'). Having lunch with the Pakistani Professor Iqbal M. Khan from Lahore School of Economics, Raul Juste Lores, a Brazilian journalist covering the event for Folha and the founder or Latin America's first social networking website (apparently it was the same format as LinkedIn but ended up going bust due to lack of investors), Fernando Moncayo Castillo. Mr. Khan invited me over to attend a conference in his School of Economics in Lahore and I said I'd be more than happy to do so. I do have a good friend of mine living in Karachi who is having a fabulous time there so Pakistan is definitely on my list. After the lunch it was time for the break-out sessions. I put my name down for 'Developing Entrepreneurship at the Bottom of the Pyramid' (there are four main key themes around the vision for 2050, this being one of them). 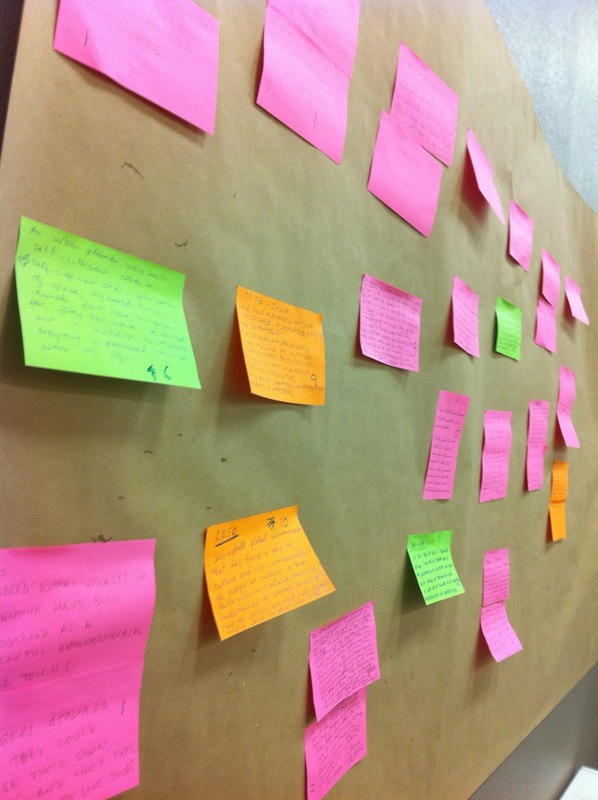 The format was a workshop where us attendees were going to get hands-on with some critical challenges. We were divided into groups and given tasks to do. The gentleman on the right (picture below) is Dr. Muhammad Ibrahim, Founder and Chairman of the Centre for Mass Education in Science. He happens to be the brother of a certain Nobel Peace Prize winner from Bangladesh: Muhammad Yunus — one of the arguably biggest role models for social entrepreneurs. Then it was time to kick-back. Yes — finally. It had been a tough day. But the show had to go on: it was time for the gala event. One of the main perks at being at the event has been to meet some top notch people. I had earlier heard some rumors of an upcoming star politician from Cameroon taking part in the Forum. Well, the rumors were true: in the picture below is myself with Kah Walla, one of the presidential candidates for Cameroon's elections next year. Best of luck for her campaign. She's certainly a great personality. After some interesting talks from the likes of Sir Fazle H. Abed (see above), it was time for the awards. By now it's become a tradition that the World Entrepreneurship Forum gives four annual awards on the following four categories: the best social entrepreneur, best entrepreneur, best politician and best academic. 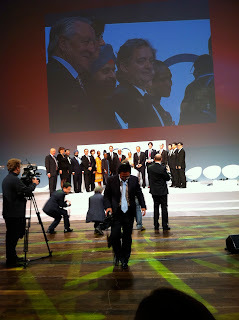 The award for the best social entrepreneur went to the Indian Ela R. Bhatt. The best entrepreneur was the legendary Chinese businessman Liu Chuan-Zhi. Kah Walla presented the award for the best politician: France's first (I believe) female Finance Minister Christine Lagarde, who received her award via a video connection from Paris. Apparently she couldn't make it to the event as she was busy entertaining the Chinese premier who was visiting France. To find out more about the winners, please read the latest news from the Forum's website. On other interesting developments, we heard the announcement that next year's World Entrepreneurship Forum would be held in Singapore. A Singaporean parliamentarian was there to formally sign a contract with the World Entrepreneurship Forum to host the event. Nanyang Technological University will be one of the hosts. After the official ceremonies were over it was time for the attendees to enjoy a performance by Barbara Hendricks. Yes, she was there to sing for us some of the production by Schumann. I don't have a picture to share as we were under strict guidelines on not to take any shots while she was singing. After her performance was over it was time for the dinner. It took us all by a surprise that the dinner was set up behind the stage. 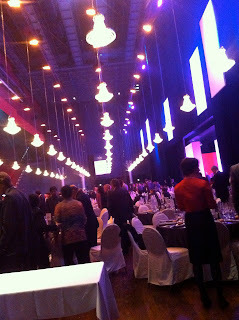 The curtains were pulled up and a beautiful decor with some really fancy light architectural design was in front of us. The evening was amazingly orchestrated and we were all very impressed with the attention to detail and professionalism on behalf of the organizers. It was just a real pleasure to take part in this event. Here I am enjoying my dinner with some great company: Malini Sen, an editor focusing on education at The Times of India, and Gintaras Kručkas, CEO of MTTC in Lithuania. If you'd like to learn more on what was actually said, I recommend checking out the EMLYON Business School's YouTube channel as fresh content is constantly posted there. Tomorrow I'll be again Twittering via my Finntastico profile. I recommend tuning into #WEntrepreneurshipF which is the official hashtag for the Forum. As far as I'm aware, everything is webcasted online live too, so welcome over to the Forum to build a better world for 2050!